The next stage of an exciting journey! On 10th September, the Revd Richard Springer (left) will begin his ministry as Director of our Urban Leadership School, and will licensed by the Bishop of Stepney as Assistant Priest at St George-in-the-East. It’s the next stage of CTC’s pioneering partnership with St George’s – the church in whose crypt we are now based. You are warmly invited to join us as we welcome Richard to the team. Richard brings a wealth of experience of inner-city ministry, both as a lay person and as Curate of St Peter de Beauvoir in Hackney. In particular, Richard has experience of overseeing a residential Christian community, and more generally of working with young people in inner-city contexts. This provides a strong foundation for both of his new roles: an important part of the renewal of St George-in-the-East has been the establishment of a lay community of young Christians. Richard’s arrival begins the second phase of CTC’s partnership with St George-in-the-East. The first phase began with the licensing of CTC staff Tim Clapton and Angus Ritchie as the parish’s clergy in May 2015, and the arrival of the lay community that September. In the first full month of the partnership, average Sunday attendance was 16 (this had been the norm for some time). Twelve months on, that number had trebled, and the congregation is now exploring how it can plant new worshipping communities in the parish to reach those who are unlikely or unable to join them on Sundays. – enterprise – with a more imaginative use of the church’s assets (e.g. in the housing of the lay community) and some exciting conversations developing with local social entrepreneurs. Richard’s new ministry will combine this very local focus (in which CTC is working in partnership with a specific East London congregation) with the direction of one of our widest-reaching programmes. CTC’s Urban Leadership School has trained over 100 young leaders, including participants from the United States, Ghana and the Ukraine. As well as overseeing our long-standing summer internship and the Buxton Leadership Programme, Richard will be involved in expanding our internships for international students and developing a new programme for Christians preparing for retirement. 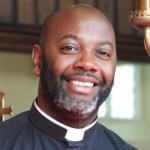 You are invited to join us at 3pm on Saturday 10th September to welcome Richard to these two new ministries – at a Sung Eucharist led by the Bishop of Stepney at St George-in-the-East at 3pm, followed by afternoon tea.